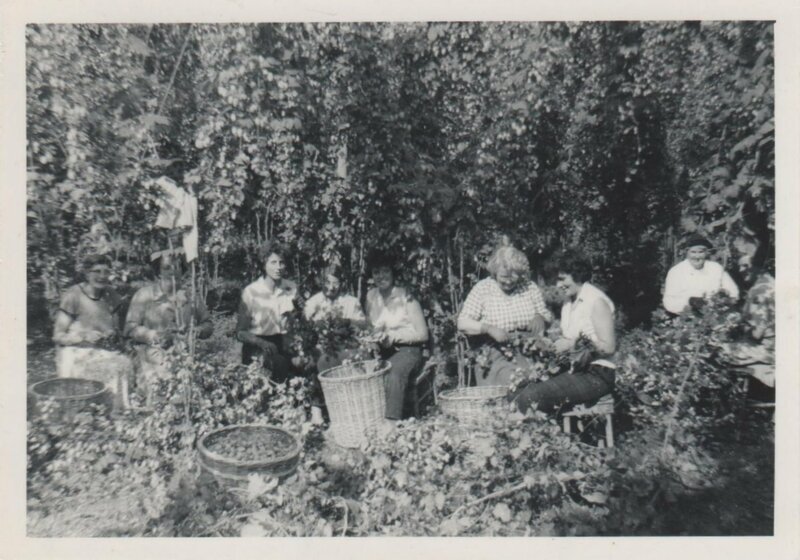 Special picking was a term used for picking hops from designated hills in hop gardens so that the yield from each hill could be analysed. 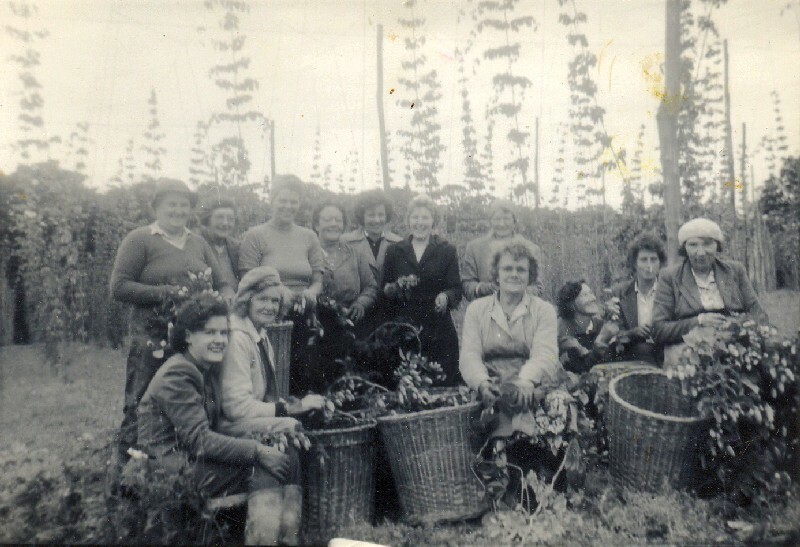 Special pickers were generally women related to permanent hop farm employees who were experienced hop pickers. Here are some photos of special pickers. On the left of the photo there is Mrs Saxby, Jo Willard and Elsie Simmons. Centre right of the photo is Ada Catt in the checkered shirt with Eileen Lawrence to her right. This photo has several women who are in the photo above. Can anyone help with identification?